Just give me a needle! : Did You Know? 1. Did you know that an eye of a needle has a right and wrong side? If you have difficulty getting your thread through the needle, try turning the needle around and thread it through the other side. Threading through the "right" side is much easier. 2. Did you know that floss has a grain? Do you notice sometimes how floss will come apart at the end you are threading. Try threading the other side of the floss. Also make sure if you have more than one strand, they are all facing the same direction. 3. 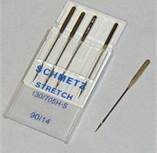 Did you know that the needle number is printed on the shank of your machine needle? If look closely, you can see it. If you can't see it while it's out of the case, put it back in the case and look. The top part of the case is slightly magnified so you can see it inside the case. 4. Did you know on most good quality cotton fabrics, you can tear across the selvage to get the straight grain? 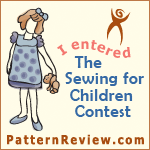 Snip about an inch with your scissors, then tear the rest of the way across the fabric. 5. Did you know you can use your needle to get the perfect end knot on your thread? Once you have your needle threaded, take the end of your thread and wrap it around the end of your needle holding the thread snug. and continue down your thread to the end. Perfect knot every time. Adjust the number of wraps to how large or small you want your knot. Just a few little fun things for you to ponder on a very dreary day here in Georgia! Great tips, it is always a nice reminder. Thank you so much for your help on my quilt. Glad to help Nonie! It turned out beautifully! !